A perfect addition to bedrooms decorated with a tasteful style of decor, the Woburn 1 Door 1 Drawer Wardrobe Oak is a simple wardrobe that combines a subtle look with sublime functionality. Ideally suited to bedrooms clad in a traditional style, the Woburn 1 Door 1 Drawer Wardrobe Oak features plenty of rustic charm that's sure to brighten up the room. 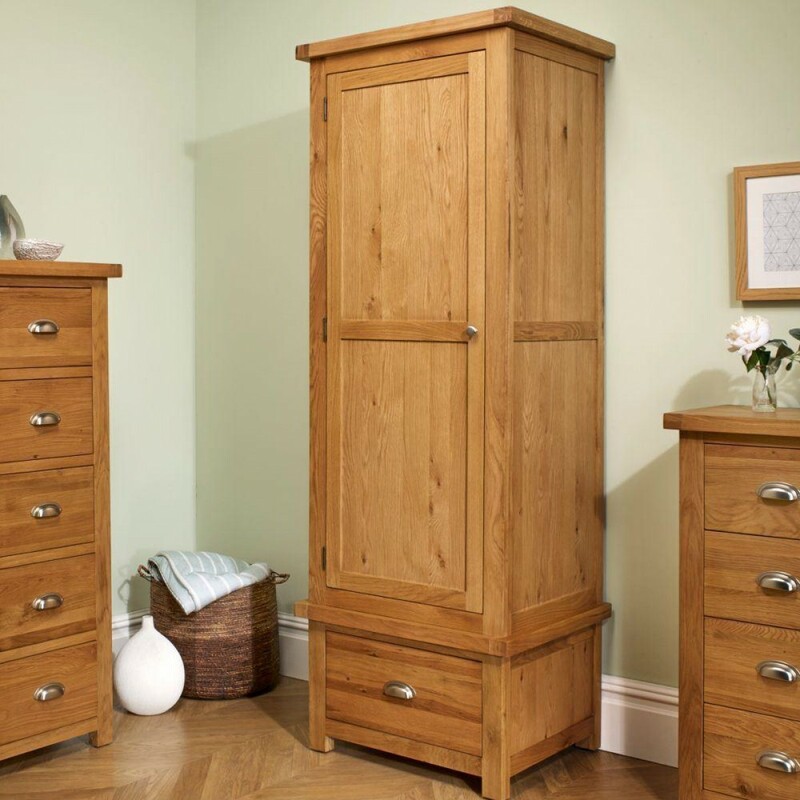 The majority of the Woburn 1 Door 1 Drawer Wardrobe Oak's frame is the spacious wardrobe section, which comes complete with a sturdy, single rail. 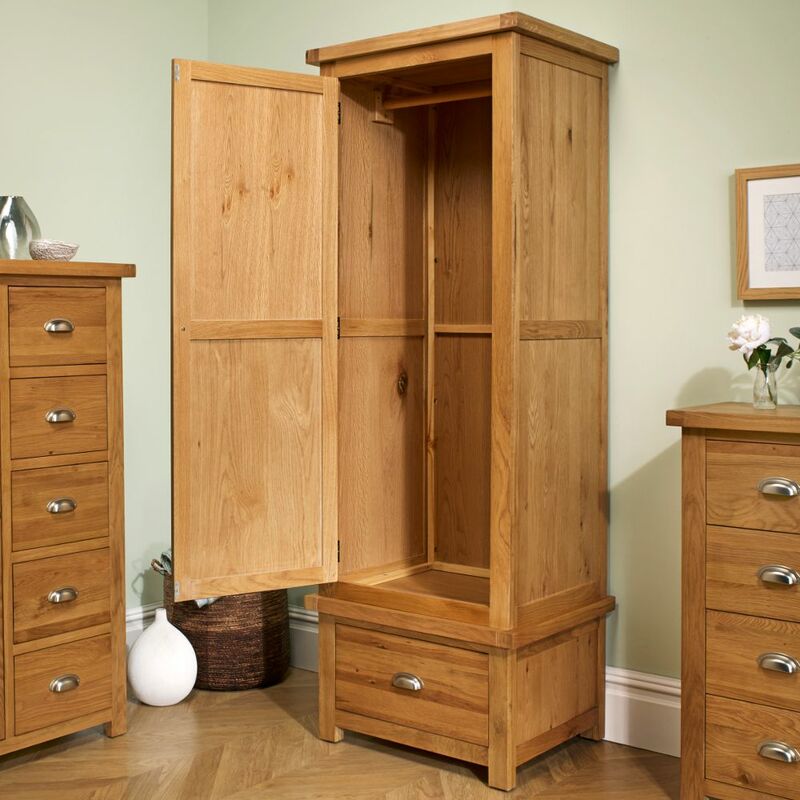 This ample space and brilliant feature makes the Woburn 1 Door 1 Drawer Wardrobe Oak a perfect choice for those with a wealth of dresses or jackets that need to be safely stored away. 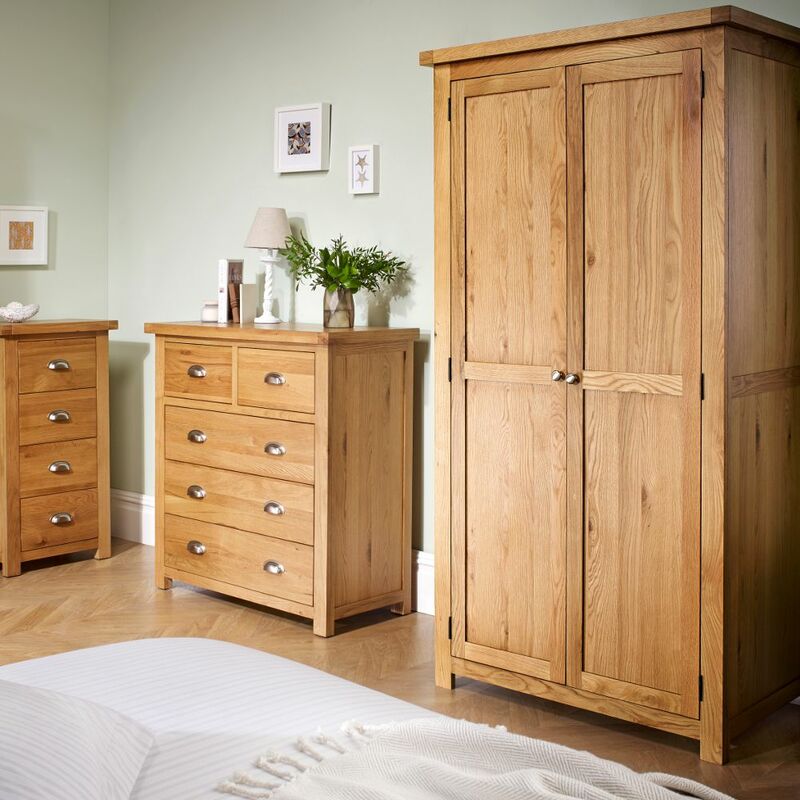 An excellent fit to essentially any style of bedroom and able to accommodate a modest amount of clothes, the Woburn 1 Door 1 Drawer Wardrobe Oak is a brilliant marriage of style and substance. As well as offering plenty of space in the wardrobe section there's also a compact drawer, adorned with a modern cup style handle, which offers additional space for miscellaneous items of clothing. 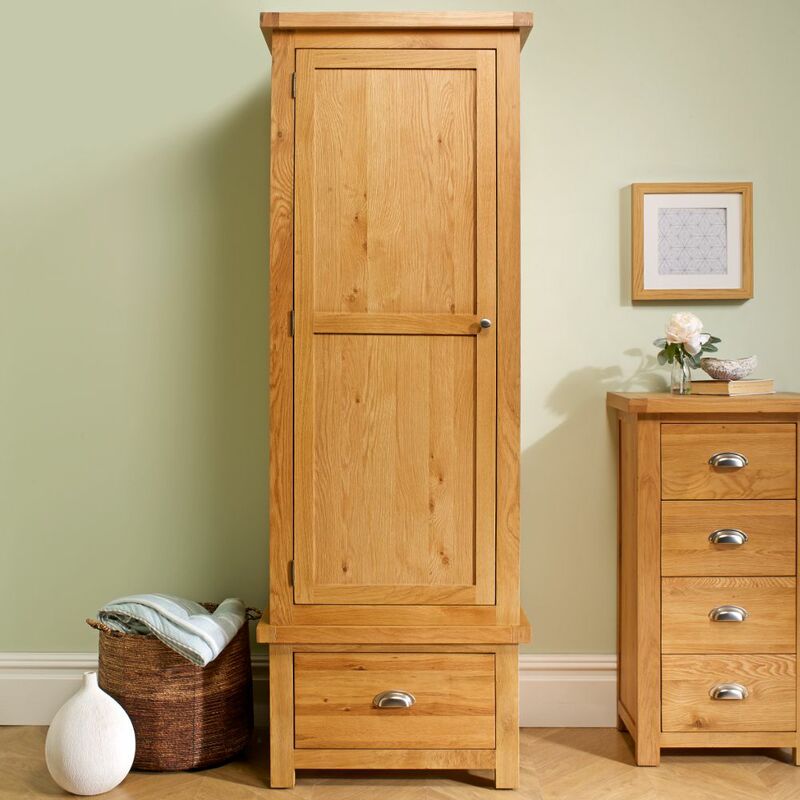 The Woburn 1 Door 1 Drawer Wardrobe Oak is crafted from solid oak, ensuring that it will last for years. It arrives as a flat pack piece of furniture, though thanks to the comprehensive instructions supplied the Woburn 1 Door 1 Drawer Wardrobe Oak is easy to assemble. The product is part of the The product is part of the Woburn Oak Wooden Bedroom Furniture Collection.